Lights All Night returns to Dallas bigger than ever before, even with adding a sister show in El Paso on New Years Eve. Now in its seventh year, the festival has become Texas’ largest EDM festival. 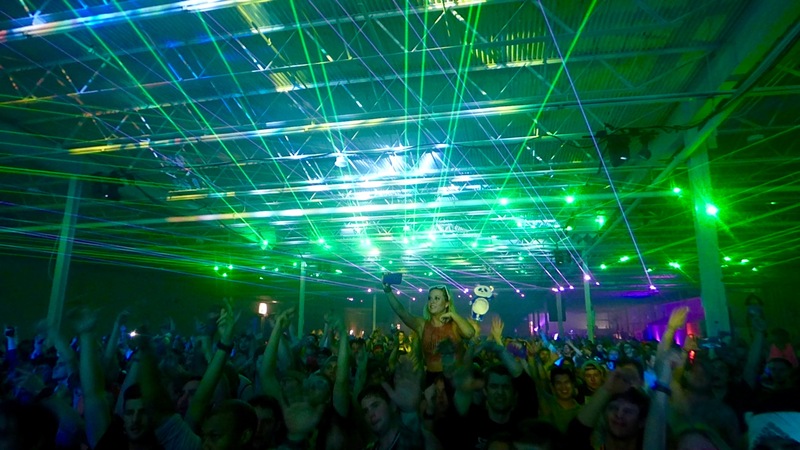 Ravers from last year will return to the Dallas Market Hall for the two day festival, but will be pleasantly surprised at the promised overhaul of the venue layout designed to make entering more efficient. The event will also be broadcasted live this year so that no one has to worry about missing any moments despite a few scheduling conflicts. Start the weekend off with some future bass from Luca Lush on the early side. Be sure to allow plenty of time after arrival and security to get you energy flowing at Felix Cartel or catch a DJ set by cult favorite Totally Enormous Extinct Dinosaurs. Tchami’s set is a guaranteed highlight as many can only guess what the eccentric producer may have in store for the Dallas crowd. The satellite stage is stacked with 12th Planet and then Austin trap producer Crizzly before A$AP Ferg for those who want to go the rap route. But sticking around after Tchami for Above & Beyond and then Zedd would be advised for those who want a night of feel good vibes and some incredible visuals. Celebrate the last of 2016 at Cazette where you will be surprised at just how many song you know and insist on dancing to as you try to decide between going next to Deadmau5 before he jets off to the El Paso festival, or dancing over to Wolfgang Gartner for before a back-to-back set by mash-up masters LOUDPVCK and Gladiator. Fans of drum ’n’ bass should plan on seeing Kill the Noise and then Feed Me for the new year before RL Grime closes out on the Mothership.